I don't want this month to be all about boy-girl love. Love can come in any combination, and I do heart reading about gay/homosexual love in YA. I think it's an area of YA that needs more exposure. There are so many teens out there struggling with their own sexualities and I feel that there really should be more books out there for them. It's important to be able to see yourself reflected in the literature that you read as well as to know that gay teens have more of a voice and don't feel so alone. I think it's easy to battered in all directions (in movies and television and books and other people's opinions) about the definition of romantic love. And for me, that definition isn't restricted in anyway. Boy Meets Boy by David Levithan - This book just makes me so happy. If I were to be able to live in any fictional town of my choosing, coming near the top of my list would be the town that Boy Meets Boy brings to life. Especially his high school, with the drag-queen quarterback of the football team (Infinite Darlene), to the students and parents with such tolerance and understanding. Oh, imagine if we lived in such a world. I think the romance between Paul and Noah is utterly charming and sweet and I urge you all to read this beautiful book. 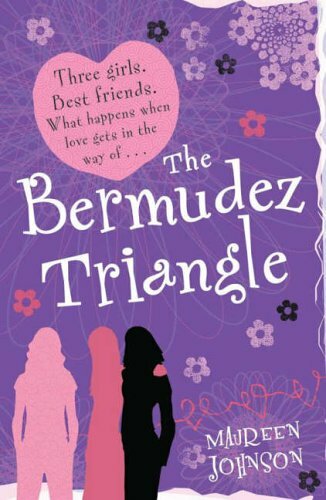 The Bermudez Triangle by Maureen Johnson - I feel a *little* awkward including this onto my list, as I never finished it. I'd had it out from the library too long and had to return it before the fines cost me too dearly, but from what I read, I was really enjoying myself. I think Maureen Johnson is just wonderful, anyway. I really loved the story of these three friends. Nina spends the summer away from and in her absence, Nina and Avery fall for each other. From where I'd gotten up to in the book and from what I've heard, The Bermudez Triangle does a wonderful job of portraying close friendships, loyalty and the reponses from others about a gay relationship. Definitely worth a read, and I will for sure pick this book up and finish it in the near future! Ash by Malinda Lo - I hope that the inclusion of Ash by Malinda Lo isn't a spoiler for anyone out there! 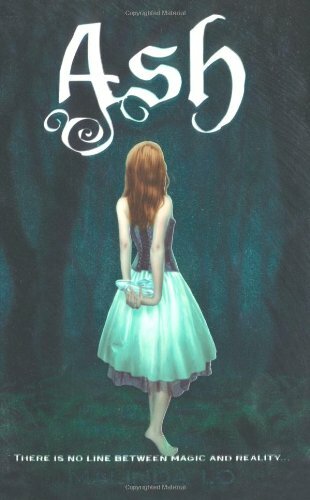 I didn't realise when I first began reading it that this retelling of Cinderella would include an alternative love interest for our main character. I really picked it up on the strength of the cover and the idea of a retelling of Cinderella, but I was pleasantly surprised to find a really engaging and beautiful love story between our Ash and Kaisa, The Huntress. I loved how their relationship was built on this friendship and respect for each other. 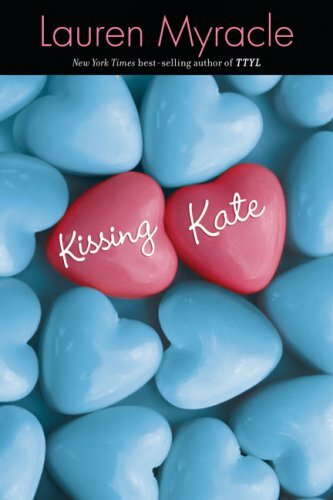 Kissing Kate by Lauren Myracle - I've only just finished reading this one, but I loved it to bits. I loved the descriptions of Kate and Lissa, how close they were as friends. How intimate they were together the one time they really kissed and then following it, the turmoil and uneasiness and doubt that Lissa struggles with in the aftermath of Kate's rejection. The love story is less about loving Kate as it is about Lissa coming to love herself. Will Grayson, Will Grayson by John Green and David Levithan - I guess I should say right off that I adore both John Green and David Levithan, so I was absolutely thrilled when I heard that'd be writing a book together. I think they both created my favourite YA character I've ever read in the shape of huge and gay, Tiny Cooper. 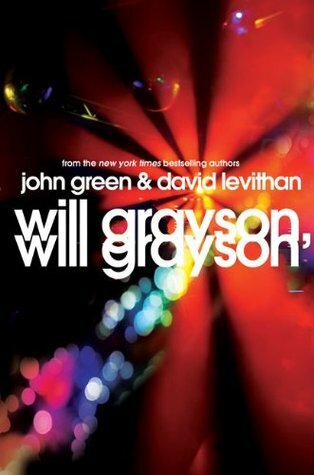 This story alternates between two boys, both named Will Grayson who are struggling with high school and love. The first WG is best friends and feels overshadowed by Tiny Cooper, the second WG is depressed and alone and gay, and is carrying on a secret online relationship with Isaac. When the two WGs meet, it is absolutely epic and throws a few curve balls into both WGs lives. It's really great stuff. With the biggest cheesball ending that makes me smile everytime I think about it. Do YOU have a favourite LGBT love story to share with us in comments?! My brand new favourite is A Love Story: Starring My Dead Best Friend by Emily Horner. Okay, maybe it's not my *favourite* favourite since there's quite a few I adore, but it's joint favourite and I'm telling everyone about how brilliant it is. It's wonderful. Fab post! I have Ash on my TBR pile already, precisely because it's an LGBT retelling - so frustrated that the publishers obviously felt that people might not pick it up if they made that more obvious! I seem to say this every five minutes at the moment - but I loved PINK by Lili Wilkinson: fascinating exploration of confusing messages for all teen girls (and so funny too). And everyone should read BOY METS BOY: just such a wonderful book. You've listed two of my favourite books there (Boy Meets Boy and The Bermudez Triangle), plus a couple I haven't read and which I must add to my wishlist right now. I want to live in Boy Meets Boy world too! I must say that I'm really, really curious about Ash. I haven't read any LGBT books yet, but I know that I want to start with Ash. Have heard great things about it. The only one I have read so far is Boy Meets Boy. Ash is on my low of books to read, along with the will grayson one and Hero. My goal is to read more this year because it is what I write. Carly - I'll look that one up :) Thanks for the recommendation. Lauren - YAY! Thanks for recommending it, I'd not heard of it before. Susie - Yeah, I really wouldn't have had a problem with Ash if I'd known that before, and other commenters have said the same. It definitely sound frustrating. And Pink has been recommended to me quite a lot recently, I have it on my stack of books to read. 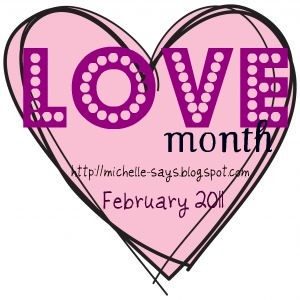 I really wanted to read it for Love month, but didn't get a chance to get to it as yet. TSB - Hope that wasn't a spoiler for you! I think people can know that beforehand and not spoil the enjoyment of the book! Tammy - It's certainly a good place to start. These are really very great Love Stories. I really appreciated your site and the variety and style of love stories.